We are now certified to perform EV conversions to your Porsche or any other European vehicle! Gerber techs have the knowledge and experience to bring your car back to life with our expert conversions. Pick the power, pick the speed, EV can match the original performance of your car. Gerber Motorsport is proud to announce our new Uber/Lyft $20 credit program! Now you can drop your vehicle off at our shop and receive a $20 credit towards a roundtrip Uber/Lyft ride back to your home or office. Inquire when you schedule your appointment. 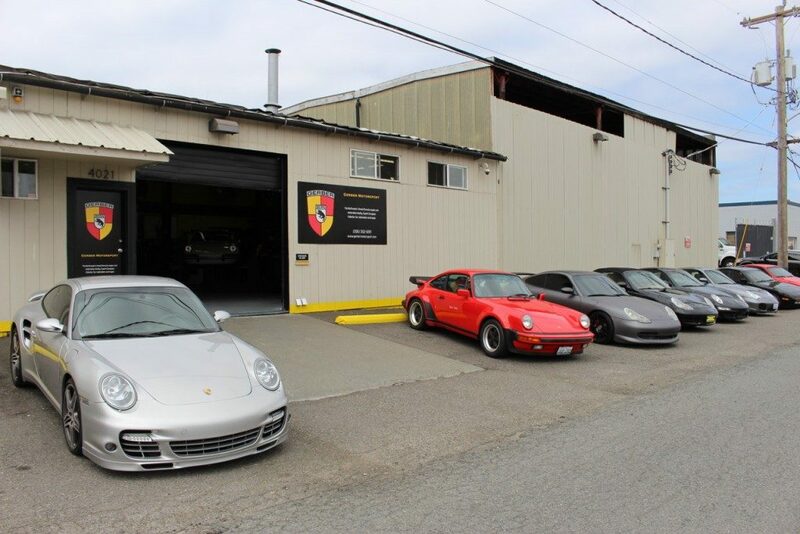 Since 1993, the Seattle Porsche/Audi service and repair experts at Gerber Motorsport have been dedicated to the unique needs of Porsche/Audi owners and enthusiasts. No matter what model you drive, our full-service Seattle Porsche/Audi repair and tuning shop will accommodate your specific needs. any dealership shop, and all of our work is backed up by warranty. Find out why other Porsche/Audi owners in Seattle trust our repair and service team with their most prized possession. At Gerber Motorsport, the service and repair of your Porsche/Audi or European collector car is our number-one focus. Our professional team of Seattle Porsche/Audi repair specialists have more than a hundred years of combined technical experience, so you can have confidence that your Porsche or Audi is getting the care it needs to maintain top performance. 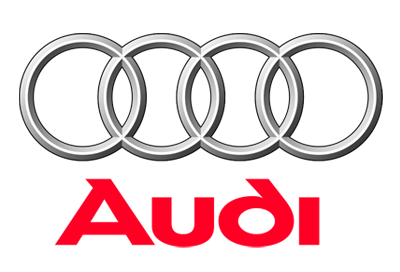 contact one of our Seattle Porsche/Audi service representatives at (206) 352-6911. At Gerber Motorsport, we are proud of our history and the reputation it fueled. Our company was founded by Walter Gerber in 1993. Walter started the company as a consulting firm for customers and clients that needed professional racing and Porsche management services. We continue to move the company forward towards the future. Your Porsche was engineered to operate at optimum performance. However, peak performance can only be maintained when your Porsche is serviced at regular intervals. Depending on the amount of miles you drive your Porsche, your regular service intervals may be more or less frequent. Our Seattle Porsche service intervals are broken up by time for low mileage drivers and by mileage for frequent drivers. Some areas of routine Seattle Porsche tuning may fall outside of the boundaries of your maintenance schedule. For example, your brake pads may need replacement at a random time in between service intervals. Our Seattle Porsche service experts will keep you informed when this type of work is required. In order to keep your Porsche running optimally and ensure your ongoing safety, our service and maintenance experts will check the following elements and systems. Our Seattle Porsche repair shop specializes in the repair of Porsche and European collector cars of any vintage. Every member of our repair team is an ASE Certified Master Technician, which means you can place your unwavering trust in Gerber Motorsports. 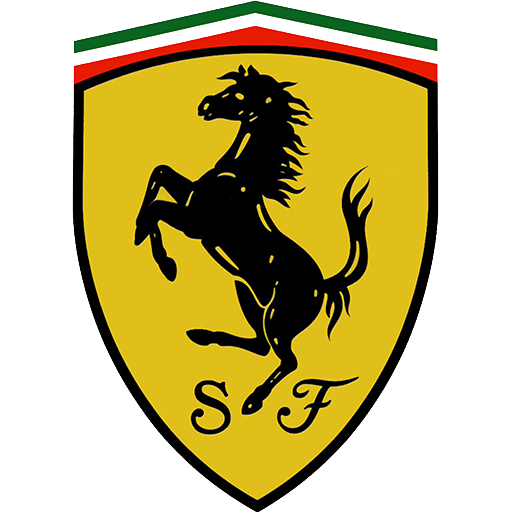 We have countless years of experience repairing Ferraris, Jaguars, Audis, VWs, and Porsches. All of the parts we use are OEM Porsche, unless you request an upgrade or modification. We back all of our work with a warranty, so you never have to worry about the quality of our repair work. Our Seattle Porsche repair specialists cater to customers all over the region, including Bellevue, Spokane, Vancouver, Tacoma, and Auburn. Another focus of our full-service Porsche repair company is customer service. No repair job is too big or too small, so you never have to worry about getting the care and attention you deserve. If you are in our local area, take advantage of our drop-off and pick-up service, which is a convenient way for you to enjoy a no-hassle approach to your Porsche’s repair. We are also happy to schedule appointments in advance, because we know your time is valuable. The Gerber Motorsports team offers engine overhauls and rebuilds for water-cooled and air-cooled Porsche automobiles. All disassembly and assembly are done at our shop, and some of our clients have even shipped their cars or engines from other parts of the country just so our team could do the work. If your Porsche engine requires a rebuild, we carefully take it apart making note of every part that was removed or discarded for replacement. All motor parts, coolant channels, and oil channels are thoroughly cleaned to ensure optimal performance when the engine is rebuilt. Our Certified Porsche technicians will remove your Porsche’s cylinder heads, and then send them to our on-site machine shop for inspection. We check each one for cracks and clean them thoroughly, before reseating the valves. We then adjust the valves in our shop, and again after 500 miles to ensure their integrity. Rebuilding your Porsche’s motor will greatly increase throttle response, torque, and horsepower. Sometimes our customers tell us that their Porsche has never run better. Your Porsche was made to be driven, so keep it running like the day you bought it with help from our Seattle Porsche tuning and repair specialists. If you’re a Porsche enthusiast who values performance, our ASE Certified Master Technicians will help you create and maintain your dream car with custom modifications built from quality parts and accessories. From tuning to styling, you can improve your driving experience significantly with help from our team of customization experts. 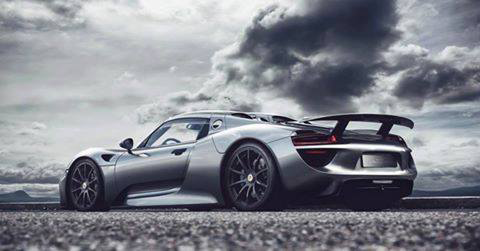 Porsche is German automobile manufacturer specializing in high performance sports cars. From the racing circuit to your local highways and byways, Porsche offers a level or reliability and quality that is unrivaled in the automotive industry. Ferdinand Porsche founded the company in 1931. As the chief engineer of Mercedes Benz, Porsche understood the true value of quality and performance, but also appreciated style and beauty. It was this fusion of value and aesthetics that went into the first Porsche model, the Porsche 64. This car was immediately popular and set the stage for a storied history unrivaled in the world of performance automobiles. The original Porsche Grand Prix race car was built in 1947, the first Porsche of its kind. This was when Porsche’s unique logo was developed, based on the Coat of Arms for the Free People State. In 1951, Ferdinand Porsche died but the company won its first international race with the 1100 CC class. Two years later, the Porsche 550 Spider was debuted with a 1.5L engine that delivered an impressive 110 BPH. 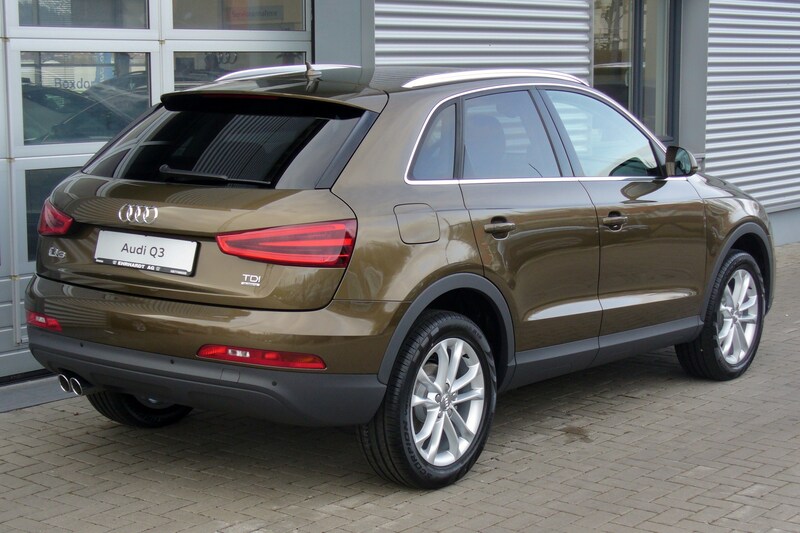 This car was an immediate success, and its classic style is still revered for its sleek style and simplicity. In the 1980s, the name Porsche became synonymous with success. The Porsche 956 became the most successful sports car of all time, and in 1988 the Porsche 911 Carrera make its heralded debut. Today, Porsche is owned by Volkswagen AG and produces a wide variety of automobiles, including high performance vehicles, SUVs, and sedans. Your Porsche is a part of this storied history. At Gerber Motorsports, we are dedicated to ensuring your Porsche remains reliable, safe, and fun to drive. Restoration refers to the process of returning a car to its original “authentic” condition. Our Porsche restoration professionals are proud to have some of their in-shop restorations currently showcased at Porsche Cars North America in Seattle. With more than 120 years of combined coachwork experience, our Porsche restoration specialists can restore you car to its original glory. We work with a nationwide network of Porsche enthusiasts, historians, and model specialists to ensure we have the most up-to-date, accurate information concerning your particular make and model. For modern road and race cars, our restoration specialists can perform aluminum fabrication welding and chassis repair on a variety of Porsche models. Dobson’s skills extend beyond the racetrack, as he is a recognized industry leader in collector brokering and Porsche restoration. With more than 50 years of collective experience, the Dobson Motorsports is dedicated to your interest in automotive arts, from the racing circuit to restorations, repairs, and race driving training. Trust Gerber Motorsports with all of your Porsche or European collector car maintenance, repair, and service needs. As a full-service shop, we also handle modifications, engine rebuilds, sales, and host of other offerings. If you take great pride in your Porsche, trust it’s care to our certified technicians. If you’re looking for an alternative to the dealership, you can rest assured that your high performance automobile is getting the care it requires to ensure optimal performance and lasting beauty. We proudly service and repair all Porsche makes and models, and work with clients all over the country. Find out for yourself why we are the Porsche repair leader in the Seattle area.